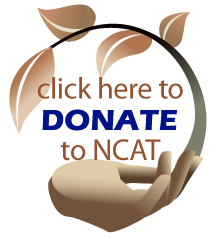 The National Center for Appropriate Technology (NCAT) is seeking a web design specialist and a web developer to design and administer interactive websites. Both positions are located at NCAT's headquarters in Butte, Montana. Applications will be accepted through November 15, 2015. Additional information is available online. The White House honored 12 Champions of Change for Sustainable and Climate-Smart Agriculture who are implementing practices to reduce greenhouse gas emissions, improve environmental conditions, and grow local economies. Such actions include promoting soil health, improving nutrient and manure management, protecting sensitive lands, and encouraging renewable energy. A Canadian participatory plant breeding study involved 11 organic farmers. Farmers were provided with F3 populations of spring wheat that they planted under their normal cultivation conditions. After three years of on-farm selection, the wheat populations selected by farmers yielded 107% of conventionally selected cultivars, displayed greater early vigor, were taller, and reduced weed biomass. Massachusetts has unveiled a draft of the Massachusetts Food System Plan. "This plan will help the state create policies to increase local food production in Massachusetts, create a vibrant and resilient food economy, protect our environment, and make healthy food accessible for all citizens," said Energy and Environmental Affairs Secretary Matthew Beaton. Public comments will be accepted through November 6. A group of investors and entrepreneurs has announced the launch of a new food and agriculture venture fund, Seed 2 Growth Ventures, or S2G Ventures. The fund's goal is to catalyze innovation to meet growing consumer demands for healthy, sustainable, and local food. With $125 million in deployable capital and operating funds, S2G is believed to be the largest such fund in the United States. Local Food Marketplace has published a five-page online whitepaper offering food hub managers guidance on how to avoid having producers subvert the hub. Avoiding Sales Around the Hub addresses how, when, and why to develop a producer/hub agreement. The Local Food Association has drafted a report presenting what it has identified as the top priority regulatory reforms for meat processing, regarding hardships that current regulations pose for small meat processors. The Local Food Association is inviting other small-scale processors to provide their input on the issues identified in the working draft. Vermont Working Lands Enterprise Board has announced the availability of approximately $550,000 to fund forestry and agriculture projects that enhance Vermont's communities, economy, and culture. Business investments of $5,000 to $50,000 are available for infrastructure, marketing, and research and development projects. A letter of inquiry is due by November 6, 2015. Kitchen Gardeners International has replaced the Sow It Forward program with a new mini-grants program called SeedMoney. The program will offer 125 grants of up to $400 for food-producing community gardens, school gardens, and food bank gardens. Both challenge grants and merit grants will be awarded. Applications are due by November 12, 2015. Minnesota Agricultural Education Leadership Council has introduced a new program of Strategic Initiative grants. Agriculture, Food & Natural Resource Literacy grants aim to promote initiatives across Minnesota in both formal and non-formal educational settings. Secondary/Post-Secondary/Farm Business Management grants include course and career development and instructor recruitment and training. Applications are due November 16, 2015. The Wisconsin Farmers Union invites the Midwest CSA community to come together to network and learn from each other to strengthen CSA farms and the local food system. The event features practical presentations regarding production, packaging and logistics, business management, community building, and more. "Strengthening Your Foodshed, Protecting Our Watersheds" will feature engaging and inspirational speakers with broad experience and knowledge of food, farming, and pressing environmental issues. The conference theme is "Celebrating the Biodiversity of Organic Farming: People, Animals, Pollinators, and Plants." A Local Food Expo kicks off the event. Keynote speakers are Klaas and Mary-Howell Martens. Sessions following the keynote cover the latest techniques for transitioning into organic farming or improving organic operations. Can I use pressure-treated lumber if I'm transitioning to organic?